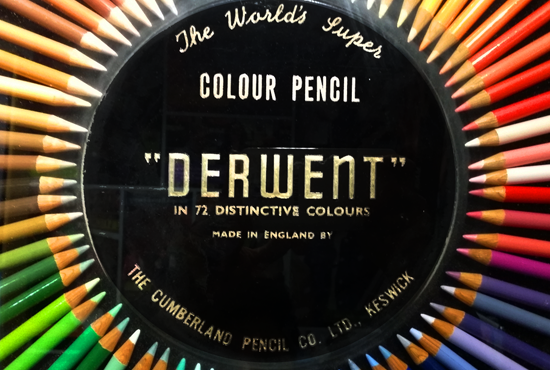 One of the highlights of our recent holiday to the Lake District was a trip to the Pencil Museum in Keswick. 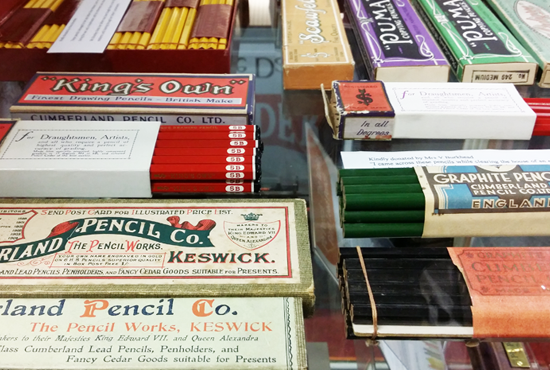 The birthplace of pencils, it is home to the largest pencil in the world and is a really sweet little museum that's packed with history and information. 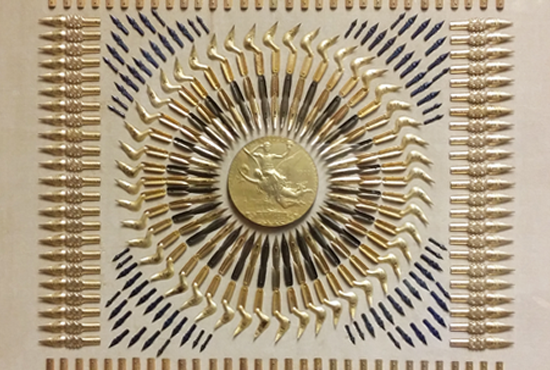 The media room has a fascinating video showing the process of making a pencil - believe me, it really IS fascinating! 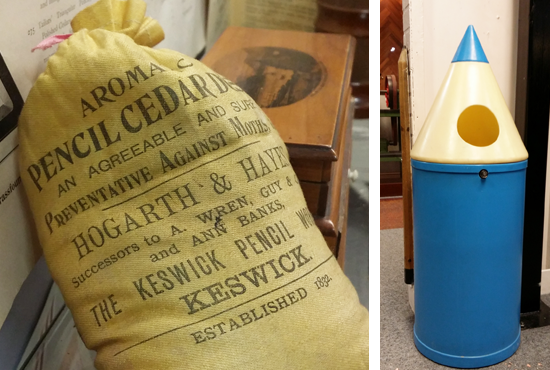 And who doesn't love a pencil shaped waste bin? 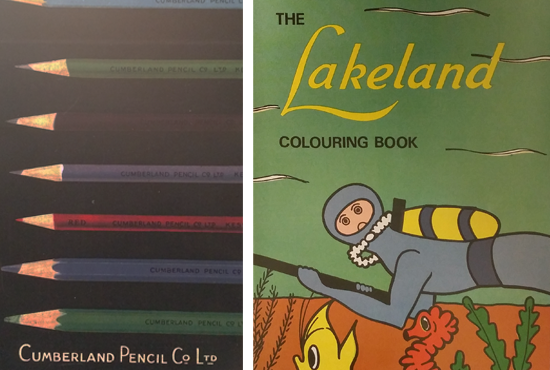 Here are a few snaps of my personal highlights, including some lovely patterns made from pen nibs, and some gorgeous vintage packaging and typography. For a stationery lover like me, it was awesome! There's loads for kids to see and do, and they periodically hold family fun days in the holidays. 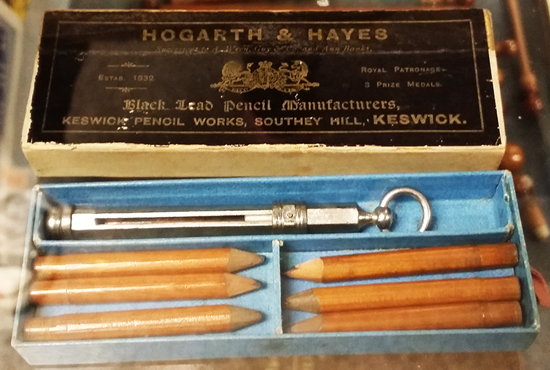 The shop is brilliant, I bought a great wash and line set, and some earrings made from pencils! 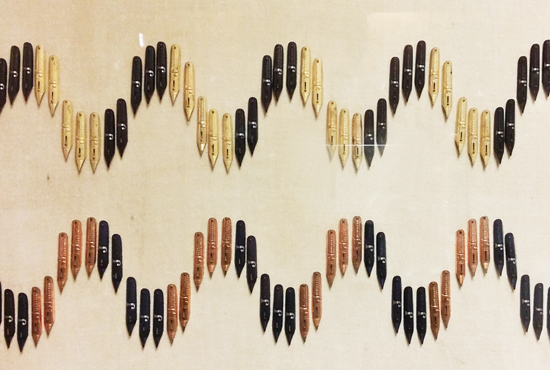 The museum also hold regular group sessions for demonstrations and tuition workshops and seem really committed to making art accessible and appealing to everyone - which is great to see! Did I mention the lovely coffee shop too? If you are planning a trip to the Lakes, you should fit this into your plans - its well worth a visit. 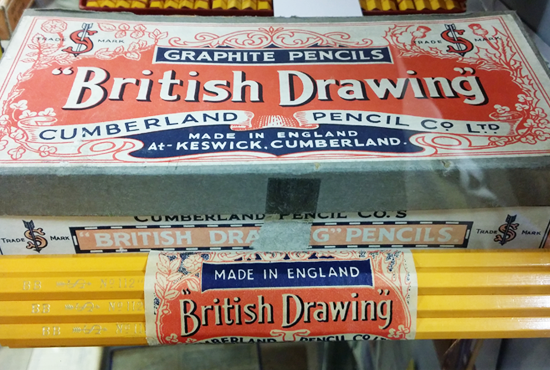 Go and get yourself a pencil education!